Elie Chmouni’s American success story begins with tragedy and hardship. In January of 2006, Elie came to Chandler-Gilbert Community College from his native Lebanon to study aerospace engineering. Sadly, in the summer of 2006 war broke out between Israel and Lebanon and his family had to flee Lebanon and seek refuge in the United States. Elie’s family could no longer afford his tuition, and it looked like he would have to drop out of college and get a job and help his family. That’s when his CGCC Engineering professor suggested the Arnette Ward Scholarship, which he was awarded just in time for Elie to register for 16 credits in the fall of 2006. Altogether, Elie completed a total of 54 credits at CGCC with a 4.0 GPA. “The scholarship kept me going, and it was a huge relief to my family and me because we know that education will bring us success in our new home,” says Elie. 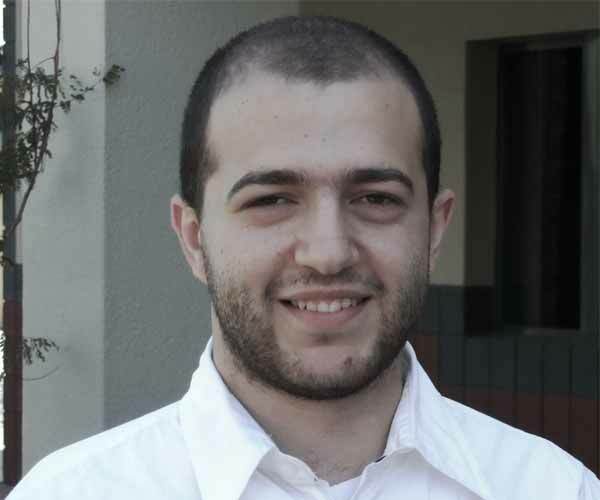 These are busy days for Elie as he is completing his mechanical engineering degree at ASU, working as a research assistant at both CGCC and ASU, and he already received a job offer.